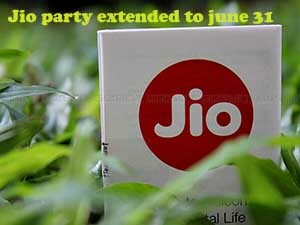 Jio extended its prime membership signup to April 15 and Extended its offers to 3 more months. Any jio user can pay one-time fee of Rs.99/- to become a prime member. Actual expiry date jio membership signup is march 31. But now its is extended to April 15. Jio users can avail Happy new Year offer for Three more months with an initial recharge of 303 or higher plan.